Hong Kong (AFP) – News that Donald Trump had agreed to meet North Korean leader Kim Jong Un sent Asian stock markets surging and the yen tumbling on Friday, while dealers were also optimistic US trade tariffs will be less severe than thought. South Korea said the two leaders would hold an unprecedented summit by the end of May, raising hopes they can broker an agreement on Pyongyang’s nuclear programme that has fuelled tensions on the peninsula. A senior South Korean security official said Kim had “expressed his eagerness to meet President Trump as soon as possible”, while the US leader tweeted that “great progress” had been made in persuading the North to end its nuclear programme. The news provided a springboard for Asian markets, with Seoul surging 1.5 percent and Tokyo ending the morning session 0.9 percent higher. Hong Kong added 0.9 percent, Sydney rose 0.6 percent and Singapore 0.2 percent. Taipei, Manila, Jakarta and Shanghai were also up. 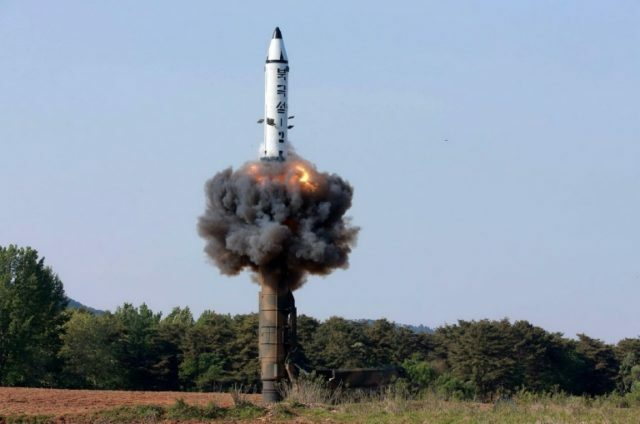 The development came just months after a period of extreme tension and bellicose rhetoric between Washington and Pyongyang that sounded like the growing drumbeat of war as the North carried out a series of missile and nuclear tests. Hopes that the two could reach some sort of agreement also led to a plunge in the yen, which is considered a go-to safe currency in times of volatility and uncertainty. The dollar jumped to its highest level in a week. Also Thursday, Trump signed off on controversial steep tariffs for steel and aluminium imports, which have been met with anger across the world and from within his own Republican Party, while raising the spectre of a global trade war. He said Mexico and Canada had been exempted from the levies while they held talks on a new trilateral free-trade agreement, and invited other countries to discuss carve-outs. However, analysts warned the issue could still blow up down the road and dealers remain on edge on concerns over a possible trade war, which sparked a global sell-off last week. Greg McKenna, chief market strategist at AxiTrader, said: “For the moment, fears have been eased in the immediate term. The tariffs lean on a little-used and decades-old national security clause in US trade law, which Beijing described as an “abuse”. The Ministry of Commerce said in a statement the measures would be “a serious attack on normal international trade order”, adding that “China is firmly opposed”. Trump has signalled he now intends to address intellectual property issues with Beijing. On currency markets the dollar gained ground against the euro after the European Central Bank lowered its inflation outlook, which tempered expectations for tighter monetary policy. Eyes are now on the conclusion of a Bank of Japan policy meeting later Friday and the release of US jobs and wage growth data, which will provide a better idea about the Fed’s plans for lifting interest rates.